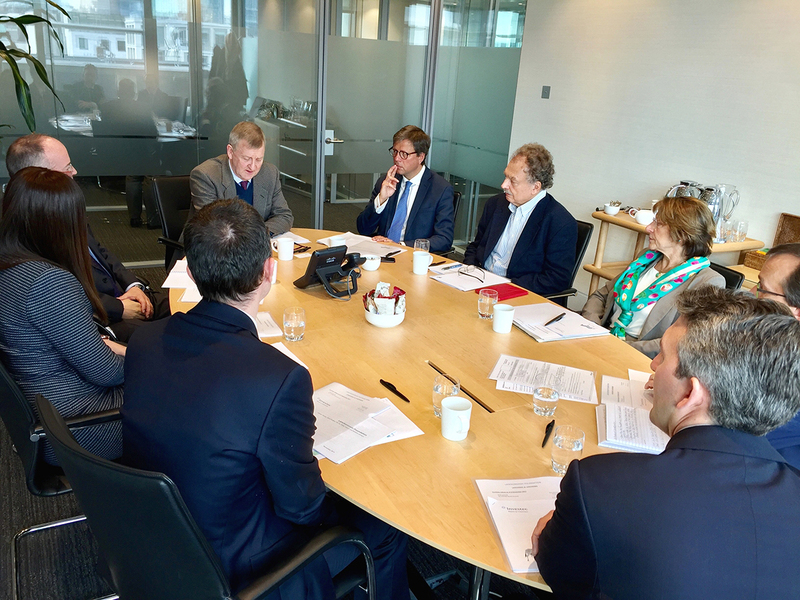 The City of London, Gresham Street – a working session of the president and members of the Foundation’s Council with the Foundation’s investment team from the international division of Investec Wealth & Management. (facing, left to right) The president of the Foundation Piotr Piniński with Council members Dominik Radziwiłł, Piotr Chłapowski and Jadwiga Czartoryska. 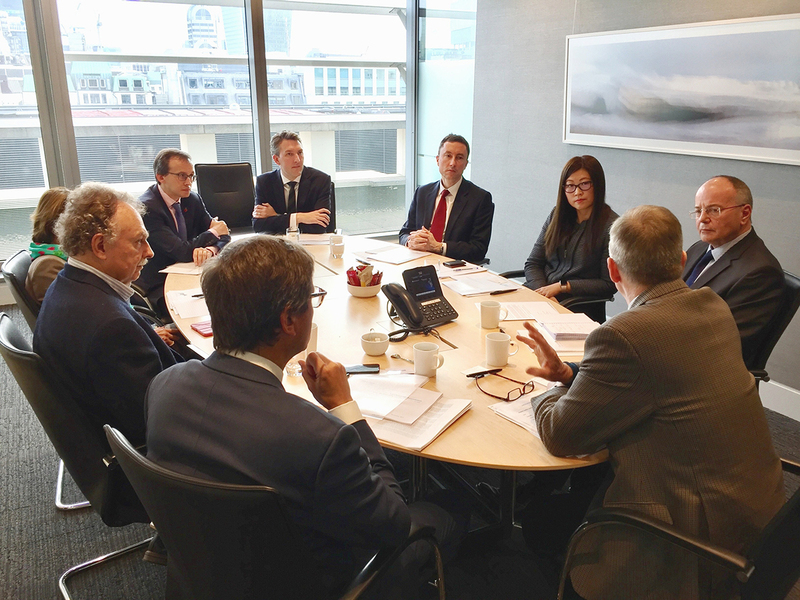 (facing, left to right) Philip Osborn (senior investment director), Richard Johnson (senior investment director), Darren Ruane (head of Fixed Interest), Fei Yu (investment director) and David Bulteel (executive director).